Different promotional products depending on what material they are made out, naturally lend themselves to certain print techniques over others. If you have any queries at all about any personalisation techniques, please don’t hesitate to give one of our friendly team a call or an E-mail. Below is an introductory guide into the world or printing! This process is where your corporate message is stitched on to your promotional products. This requires a ‘jacquard’, which can weave up to four colors at a time. The number of stitches required to product the design is usually between 5,000 and 10,000 which determines the cost. Good Points: Embroidered promotional clothing gives a more luxury feel to the product. Also the more colors one choose, doesn’t alter the cost – the price is based on the thread count only. 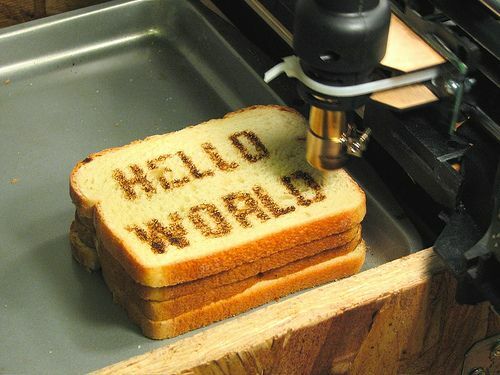 Laser engraving is the personalisation technique where computer controlled lasers are used to engrave, etch or mark a promotional product. In this process, a metal blocking die is etched so that the image or message is raised with the message appearing the ‘wrong’ way round. It is placed in a blocking machine and is heated to a very high temperature. The promotional product is held below in a jig. Between the two is a ‘foil’ running from one reel to another, which has two parts to the foil, a carrier film and the foil itself. When the hot block is put under pressure, against the product with the foil in between, the part of the block in contact with the product is the raised part on which your image appears. The result of this process is that the foil embosses itself to the product in the form of your logo or text. Foils can be made in a selection of colours, but tend to be either in gold or silver for a classier effect. Good Points: Gives a really professional feel, perfect if looking for a discreet and classy corporate gift. Not So Good Points: Embossing is limited by the range of products available, it can only work on tougher materials like leather for example. Using hot foil blocking wouldn’t be suitable for logos with fine details. Litho printing revolves around the natural phenomenon of the mutual repulsion of oil and water. In modern commercial presses an aluminium, zinc or plastic plate is coated with a photopolymer film that is exposed to light through a photographic mask. The exposed areas are then chemically “hardened,” with the unexposed areas dissolved when the plate is put through a chemical process. When printing a page, the plate is dampened, and the water adheres only to the unexposed, non-image areas, which repel the greasy ink which is applied to the plate immediately after. Good Points: Litho printing can easily produce a fantastic array of tints, which is difficult with other print techniques. It is also a great technique to use with relatively delicate promotional products like notepads. Pad printing or tampo printing, uses a metal plate produced from the artwork with a raised image on. The plate is fixed into the pad printer and inked. The promotional product is placed in a jig so that successive products will be printed in the same position- something which is vital on two colour work. The ‘pad’ – a firm yet resilient synthetic material is then pressed against the plate taking up the image, which is then transferred to the product. 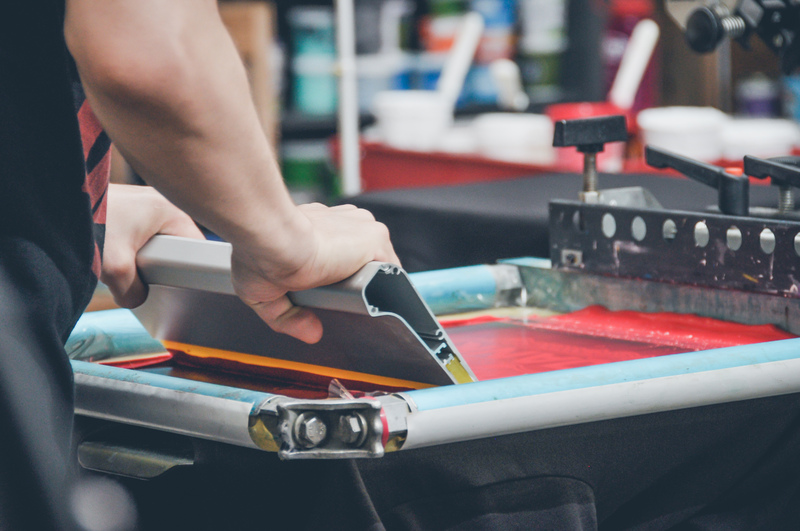 Screen printing or silk screen printing to be precise, is a common print technique used on many promotional products, but plastic in particular. The process works via a ‘screen’ of a very fine mesh within a frame. This screen is then covered in a light-sensitive coating, when light is shown through the film on to the screen – where the light shines the coating solidifies. A roller or squeegee is dragged along the stencil, forcing ink through the threads of fine woven mesh- into the open areas. Where light has been prevented to shine, the coating remains unchanged and is simply washed off. Not So Good Points: There is a real difficulty in reproducing exact tints in colours, especially in smaller items, due to the nature of using a mesh to force a color though onto the product. The problem is reduced when printing on larger promotional items like T Shirts and umbrella’s for example. Good Points: This process gives one great flexibility in colour options, and the materials available to be printed on. With any personalised promotional product, you will encounter an origination fee. This doesn’t refer to any artwork costs, or charges involved with the actual printing itself. 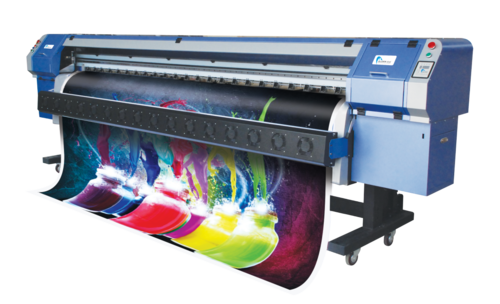 Origination refers to the cost of making up the screens, dies, templates which will be required for every colour one uses. For repeat order, the screens can be reused at no extra cost, although there would be another set up charge for the machinery.